Northern Leisure Motorhome Hire was established in 2007 and is a family run business providing all-inclusive motorhome hire from our base in Otley, West Yorkshire. We pride ourselves on our high customer service levels which is reflected in the high amount of repeat custom and recommendations that we receive. All of our motorhomes have different specifications, layouts and pricing structures depending on the season. Whatever your requirements and budget, we are confident that we have a suitable motorhome available for hire. (Our motorhomes) Our prices start from just £70 per night or £425 a week! Please refer to our T&C page for a full list of what is included as standard and optional extras. Unlike many other motorhome hire companies, we do not insist on collecting and returning motorhomes in a fixed two hour time slot. 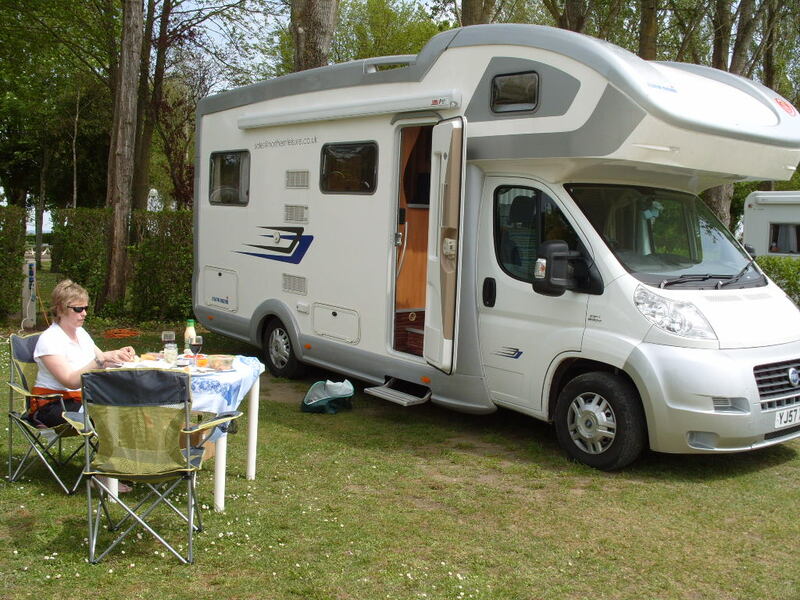 On booking your motorhome, we will discuss and agree suitable collection and return times with you and we will do our upmost to accommodate you. We recognise that your dog is very much part of your family and we therefore allow dogs in certain vehicles subject to size/breed/quantity. There is a charge of just £30 per dog. On collection of the motorhome, we will provide you with a walk-round tour and handover to explain how everything works before you depart. If you encounter any problems whilst you are away then we include a detailed manual for each motorhome and we are also available on the phone should you need us for assistance. Just to say a big thank you from myself, my wife and Gemma the dog. Thanks to all at Northern Leisure for giving us our perfect holiday traveling across Europe in a lovely motorhome. All the staff at Northern Leisure could not have done anything more to help us, they were so helpful and thoughtful. The vehicle was everything we could have wished for and more with everything we needed, there was even a carpet put in for the dog to walk on. We are recommending Northern Leisure to all of our friends should they wish to travel abroad or stay in the UK, and rest assured we will be back to hire another Motorhome often, well worth the money. Once again a big thank you to you all, and carry on the good work. Northern Leisure’s service and attitude is second to none. I can’t recommend them enough and trust me when I say that I can make Victor Meldrew look like a cuddly teddy bear, so they’re doing something right! So having packed it all in for a life of adventure we didn’t know where to start. Northern Leisure to the rescue!!! We got a great deal to hire a brand new Eura Mobil Terrestra Motorhome for 3 months and you didn’t see us for dust. Where to? Not sure really but we ended up touring France, Italy, Germany, Switzerland, Holland, Belgium, Luxembourg, Austria and a sneaky look at a few places in the UK that we hadn’t seen for a while. We cannot recommend just doing it for yourselves strongly enough. The life is laid back and full of freedom and flexibility – every day is different – if you want it to be. The staff at NL were brilliant, nothing was too much trouble and they took a genuine interest in what we were doing and where we were going – now we are saving up for the next time, it can’t come soon enough!! !